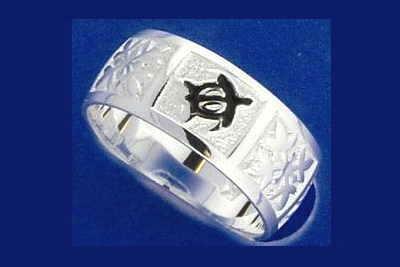 Design: hand engraved Hawaiian honu turtle with smooth edges. Weight: approx. 3 grams. Stamp: 925. Please email us you're ring size. Width: 8mm (approx. 5/16"). Design: hand engraved Hawaiian black enamel honu turtle and quilt with smooth edges. Weight: approx. 3 grams. Stamp: 925. 1/2 sizes available. Please email us you're ring size. Width: 8mm (approx. 5/16"). Design: hand engraved Hawaiian black enamel honu turtle and quilt with smooth edges. Weight: approx. 3 grams. Stamp: 925. Please email us you're ring size. Flower size: 10mm (approx. 3/8"). Weight: approx. 3 grams. Stone: clear Cubic Zirconia (CZ). Rhodium finish. Stamp: 925. 1/2 sizes available. Please email us you're ring size. Turtle size: 8mm (approx. 5/16") wide and 8mm long. Weight: approx. 3.5 grams. Stone: Cubic Zirconia (CZ). Stamp: 925. 1/2 sizes available. Please email us you're ring size. ower size: 10mm (approx. 3/8"). Turtle size: 3/16" wide and 5/16" long. Weight: approx. 2.7 grams. Stone: Cubic Zirconia (CZ). Stamp: 925. Sizes 3 -10 available. 1/2 sizes available. Please email us you're ring size. Flower size: 10mm (approx. 3/8"). Turtle size: 3/16" wide and 5/16" long. Weight: approx. 2.7 grams. Stone: Cubic Zirconia (CZ). Stamp: 925. Sizes 3 -10 available. 1/2 sizes available. Please email us you're ring size. 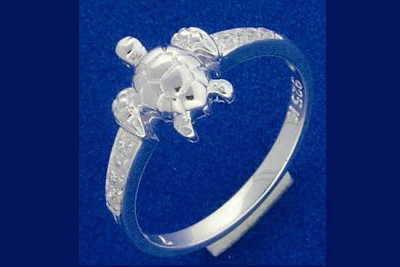 Turtle size: 16.50mm (approx. 5/8") wide and 14.80mm (approx. 9/16") long. Metal: 925 sterling silver. Weight: approx. 2.5 grams. Stamp: 925. Sizes 5 -10 available. Please email us you're ring size. Opal turtle size: 3/8" wide and 3/8" long. Baby turtle size: 3/16" wide and 1/4" long. Weight: approx. 2.2 grams. Stamp: 925. Sizes 5 -10 available. Please email us you're ring size. 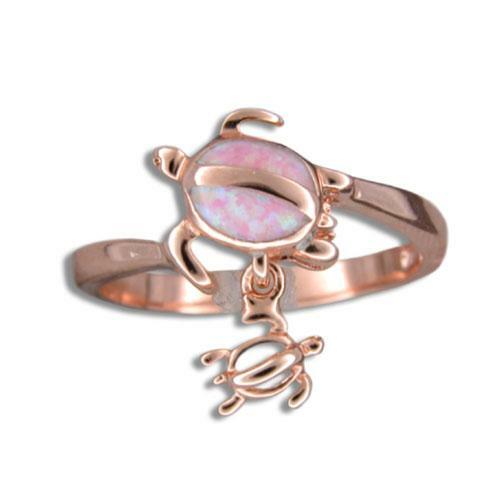 Opal turtle size: 3/8" wide and 3/8" long. Baby Turtle size: 3/16" wide and 1/4" long. Weight: approx. 2.3 grams. Stamp: 925. Sizes 4 -9 available. Please email us you're ring size.